I know I do. Look forward to them every year. Not to mention all the family gatherings and the friends, turkey, presents and the list goes on. The best part of all isn’t the presents…well okay…it is the presents, but the second best are all those delicious aromas in the air. Gingerbread men baking in the oven; winter chai to keep us warm; vanilla and spice, cinnamon and cloves. All those scents are in the air making you feel like a kid again. 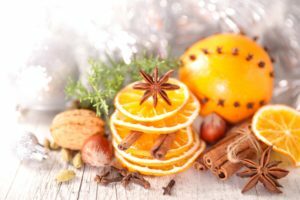 If you’re like me, you want to have those scents in your home throughout the season. 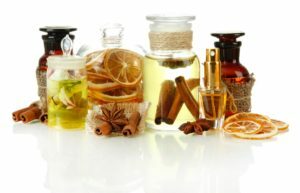 Instead of purchasing candles and canned fragrances which contain many harmful chemicals, yep, even the ones with “natural scents”, let’s recreate these delicious aromas through the use of 100% PURE essential oils FREE of harmful chemicals and synthetics. SPRAYS FOR THE HOLIDAYS teaches you the benefits of essential oils and allows you to create your own delicious aromas to take home. 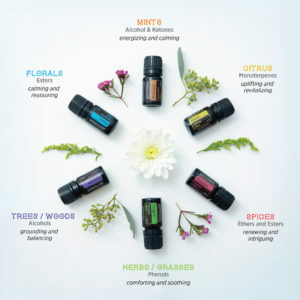 You’ll be able to use the sprays wherever you want or drop the essential oils mix you created into your diffuser. Let the kid inside you out to play and the creative “mad scientist” within invent. We provide all materials. You take them home to enjoy.